The International Student Advisory Board (ISAB) meets monthly, except for December, throughout the academic year and advises OIA on international student needs and concerns, participates in the development of new initiatives, interacts with the wider University community to raise the visibility of international students, and develops international student leadership. Please seek out members of the ISAB to share information regarding your experience, make suggestions regarding the kinds of support you would find helpful, and to get to know your ISAB representatives in general. ISAB is pleased to publish the International Student Insider's Guide for the student population at the University of Chicago. If you have additions, questions, or advice to add, contact ISAB through the form on the sidebar. The ISAB Grant provides funding for initiatives and projects that benefit the international student community, including graduate and undergraduate students and their dependents, at the University of Chicago. Proposals may be submitted by Chairs of campus groups or by individual students. Click for complete description and application instructions. Questions? Ask ISAB. Submit an ISAB Grant Application. Read the complete ISAB Grant Description and instructions before submitting an application. If your event is political in nature--or includes candidates for political office--please review the University's policy on Political Campaign Activity before submitting your proposal. ISAB is unable to fund most political events. Please note that the ISAB grant is for planned projects only; funds cannot be awarded as financial aid, scholarships, or for urgent personal situations. The International Student Advisory Board (ISAB) is group of international students from around the university whose mission is to improve the experience of international students on campus through communicating with administration about international student needs and concerns, facilitating discussion across cultures, developing student leadership, and creating projects that benefit the campus community. Committees meet around three times monthly, at the discretion of the chair, and work on key issues affecting international students at the University. The general board meets once a month during the academic year, except in December. The application process is competitive and seeks to seat a board that is highly diverse and broadly representative of the University's international student body. Questions about serving on a committee? Contact ISAB for more information. Questions about serving on the Board? Contact ISAB for more information. Darren is a third-year student in the College from Singapore. He is majoring in History and Near Eastern Languages and Civilizations, and studies Islamic history in the Indian Ocean world. 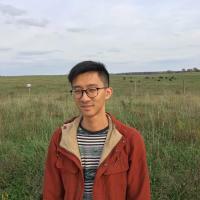 He edits for the Chicago Journal of History and The Midway Review, two publications on campus, as well as a Singapore-based magazine, Mynah. Luiza Gundim is a member of the Class of 2018 from São Paulo, Brazil. She came to UChicago to study economics. She is currently involved with Model UN, among other student organizations on campus. Some of her interests are international relations and photography. She is really looking forward to getting more connected to the international community on campus and helping foreign students in every possible way. Benjamin is a second-year in the college studying Biological Science and Molecular Engineering. Born and raised in Taiwan, his interests includes running and photography. On campus he is also involved with the Taiwanese American Student Association and GeneHackers, a Synthetic Biology research RSO. Khalifani is a second-year Economics major. He grew up in Mombasa, Kenya. He is excited about the cultural diversity at UChicago. Specifically, he likes the fact that you do not have to identify with a cultural group to join or participate in its activities. Currently, he is involved with the Student Leadership Institute, African and Caribbean Student’s Association, and the South Asian Student’s Association. He enjoys meeting new people as well. He also enjoys cooking. When he has the time, he attempts new things. He looks forward to working with his colleagues to enhance the international experience on campus. 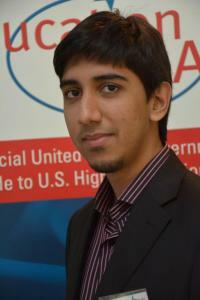 Angad is a second-year in the College majoring in History. He hails from New Delhi, India. 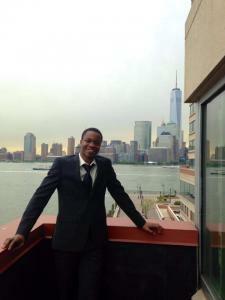 On campus, he works as an intern for the Global Voices Lecture series at International House. Irene Zigurimi was born and raised in Rwanda. He is a passionate servant leader, Economics major with an expected minor in Statistics. He is involved in the African and Caribbean Students Association, Chicago Bound 2014 cohort and an active member of the Institute of Politics. Through the International Student Advisory Board, he hopes to develop a stronger network of International Students on Campus and working on international students’ employment issues. 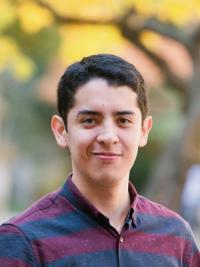 Andrés Serrano is a second-year student in The College, majoring in Economics. He was born and raised in Puebla, Mexico, a colonial city founded in 1531. 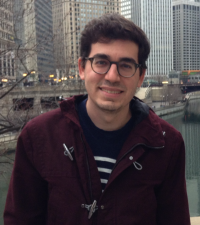 At the University, Andres is a board member at Mexicans at UChicacgo, a Research Assistant at the Polsky Center at the Booth School of Business, and an active member of the Trott Business Program. He is really excited to work with his fellow ISAB members to increase the visibility of the international community at UChicago. 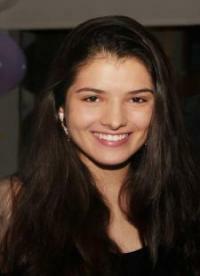 Hasmik Grigoryan is a second year undergraduate student at the University of Chicago. She was born and raised in Yerevan, Armenia and moved to the U.S. in 2015 in order to pursue a Bachelor's degree in Physics with a minor in Computer Science. She joined ISAB in order to promote international student concerns on campus. Katherine is a second year Economics major in the college. 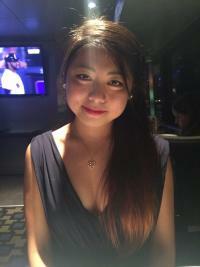 She was born in China but grew up in Australia. On campus, Katherine is involved in Student Government, the Chicago Debate Society, the British Parliamentary Debate Society, and the Undergraduate Law Review. 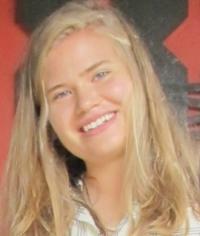 Outside of school, Katherine enjoys food, especially restaurant hopping. Her dream in life is to be paid to eat and write snarky things. In reality, she aspires to go to law school and hopes to be a better attorney than Daredevil so she doesn't have to resort to fighting crime in a skin tight suit. Ijaaz is from Mauritius and is part of the Class of 2019, majoring in Physics and minoring in Philosophy. 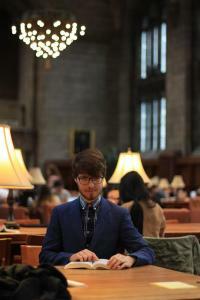 He joined ISAB to represent the international student population at UChicago. He is also part of the International Student Advisory Committee (ISAC), affiliated with the Office of College Admissions. He is also a coordinator for Maroon Tutor Match. Jan, a member of the Class of 2018 studies Public Policy and Mathematics in the College. Prior to the University of Chicago, he grew up and attended a Gymnasium in Michelstadt, Germany. There, he developed curiosity in foreign languages, philosophy and literature, an interest that was reinforced by living in Italy and studying at an Italian Liceo for several months. Extracurricularly, Jan has been a passionate member of the international community, cultural advisor for the German Club, Events Chair for UChicago Amnesty and invested in EU and transatlantic affairs. Ingebjoerg is a second-year student in the College, majoring in Computational and Applied Mathematics. She was born and raised in Bergen, Norway. On campus, she is involved with the Tech Team at the Institute of Politics and Smart Woman Securities. Ji Gao grew up in China. He is interested in Renaissance French literature and European history. Ji has lived in China, Sweden, France, and the United States and had the chance to visit many European countries. 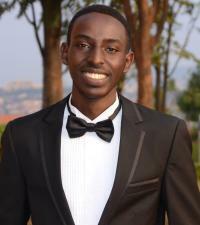 He is part of the board because he wants to help improve the visibility of the international community, and to gain understanding of others (and, of course, to meet other international and local students from all ages and backgrounds). Sarath is a fourth-year Ph.D. candidate in the History Department hailing from India. At ISAB, he values the opportunity to be part of the student group invested in the welfare of international students that is constantly striving to address their concerns. He has been on ISAB since May 2014. Born and raised in Korea, Eunyoung Hwang, is a sixth-year Ph.D student in the Divinity School and a dissertation fellow in the Stevanovich Institute: Formation of Knowledge. While engaging with questions of happiness, human flourishing, and virtuous life, Eunyoung is interested in whether and how such questions are relevant to the lives of international students. Eunyoung likes to stroll down the lake, idling time away, and enjoying the evening breeze. 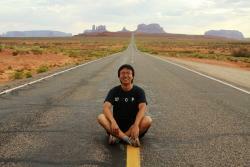 Boxuan Zhao is a fifth-year PhD student in the Department of Chemistry studying epigenetics. He was born and raised in China. 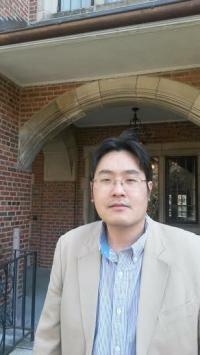 After graduating from Peking University in 2012, he moved to the US to pursue a PhD degree in chemistry. On campus, he is also the graduate representative of the Faculty Board of Campus and Student Life, a member of UChicago Triathlon Team, and a scuba diving instructor with LearnScubaChicago at Myers-McLoraine Pool in Ratner Athletics Center. 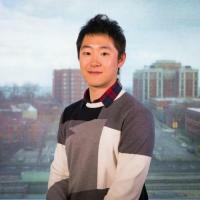 Hongfan, also going by Kevin, is a PhD student in Operations Management at the University of Chicago Booth School of Business. Sharing very similar background with international students in some areas, he is always excited to be involved in the community and to serve the international student body at UChicago. 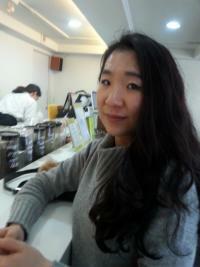 Seo-Young Lee is a third-year student at the Law School. Born in South Korea, she grew up in Seoul and the American Midwest. She is active in the Law School's clinics, and is committed to public interest law. As part of ISAB, she is very much looking forward to addressing the concerns of international students. Iuri is a PhD student in the Department of Ecology and Evolution, where he studies evolutionary genetics. He is originally from sunny Brazil. Iuri believes that strengthening the bonds within the international community at UChicago is invaluable for foreign students. The 2013 Board meets with new members for the first time.